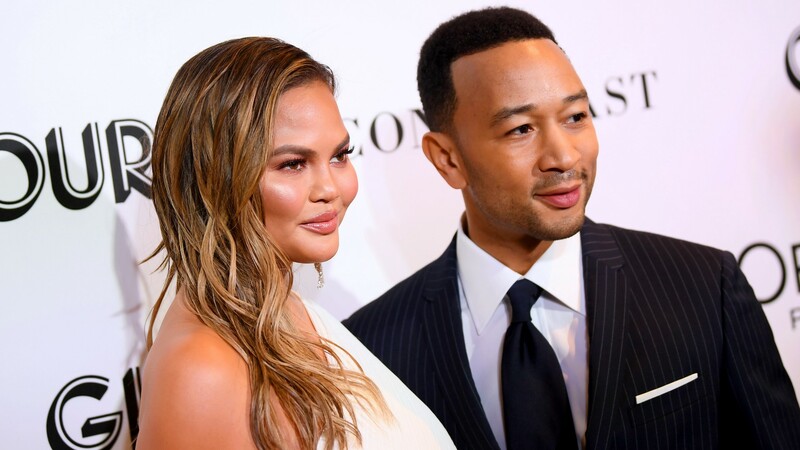 Chrissy Teigen is always ready to sing husband John Legend’s praises when the time is right, like when he received his EGOT earlier this year. But on Monday night, it was Legend’s turn to recognize his wife for her greatness and all that she gives back to the world. Some might only see her as a well-known celebrity on social media, which she most certainly is, but Teigen is so much more. She inspires women everywhere with her bluntness, openness, unapologetic attitude and hard work. That’s how Legend views her too. The singer presented Teigen with her 2018 Glamour Women of the Year award, and of course he gave the most moving speech ever. It was so emotional, in fact, that not only did he find it impossible to hold back his tears, but so did Teigen, who also made her own tear-inducing speech. Legend started his speech off with a joke by hilariously saying, “Hello, everyone. I’m John. Also known as Chrissy Teigen’s trophy husband.” He quickly put the jokes aside and praised Teigen for the amazing woman she is. As soon as Teigen took the stage, her tears were flowing, and they became even heavier when she began thanking Legend for being an amazing husband and partner. “I joke about it a lot, but I truly have the most incredible husband on the planet,” she said through tears. Glamour’s event was truly a special evening for both Legend and Teigen. It’s always been clear how much they care about one another, but to see them both cry because they have such an immense amount of love for and pride in each other is absolutely beautiful.